This week, Queen Elizabeth II celebrates her 60-year reign as Monarch of England. 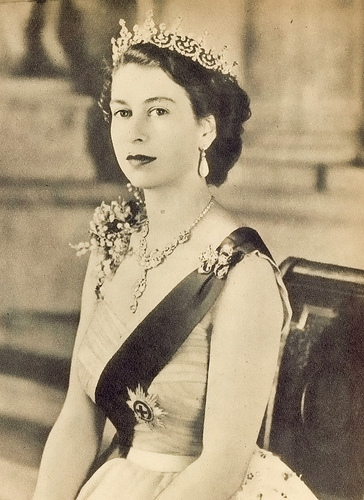 On June 2, 1953, her majesty was officially crowned with the highest ranking royal title, although she had been seen as Queen more than a year earlier at the age of 25, just months after her father King George VI passed away in his sleep. The 1953 coronation was attended by 8,000 guests, including prime ministers and heads of state around the Commonwealth. The ceremony has largely remained the same over a thousand years, with the Archbishop of Canterbury presiding for the last 900 years. An estimated three million people lined the streets of London to catch a glimpse of the Queen while millions more watched the broadcast live on television or listened on the radio. As well-wishers shouted God Save the Queen, Her Majesty could be heard saying…. Throughout all my life and with all my heart I shall strive to be worthy of your your trust. Learn more about the Queen’s Coronation and upcoming festivities to celebrate her 60-year anniversary as Monarch.